The animal world is a bunch of surprises! We will be wondered to hear their facts and secrets. The animal heart is always a topic of discussion in science. There are certain surprising facts about the animal hearts which we are unaware of. The top ten amazing features of their hearts are listed here. Fairyflies are tiny wasps which are the smallest flying insects. They mainly found in tropical regions throughout the world. The small-sized flies got a very short adult life span. 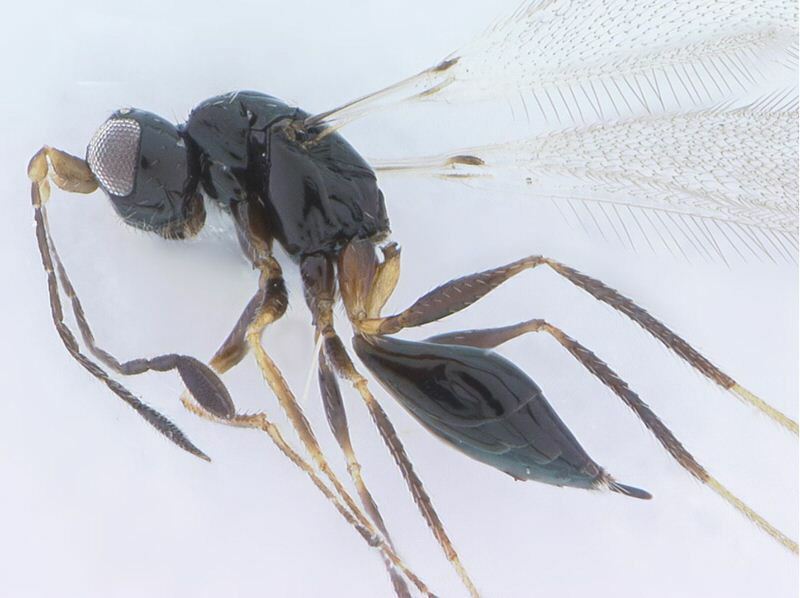 The primary feature of this small wasp is that they got a tiny heart in their body. It is the smallest heart of any living creature in the world. Microscopes are used to see the heart of this fairyfly. This tiny heart is not muscular like a human. 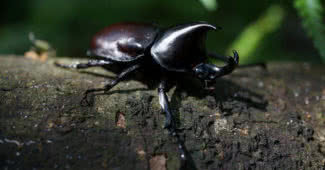 It contains a narrow tube along the back of the insect. It helps the process of plumbing blood towards the head. Thus this tiny heart also enables fluid circulation in the open system. The veins or arteries are not found in the heart of fairyfly. The fly with the world’s tiniest heart generally ranges from 0.139 to 0.55 mm only. They got a body with nonmetallic black, brown or yellow colors. The H shaped patterns present in the heads also uniquely distinguishes them from other series. A species of these flies live under water for about 15 days. They climb through the stem of the broken trees to exit the water. 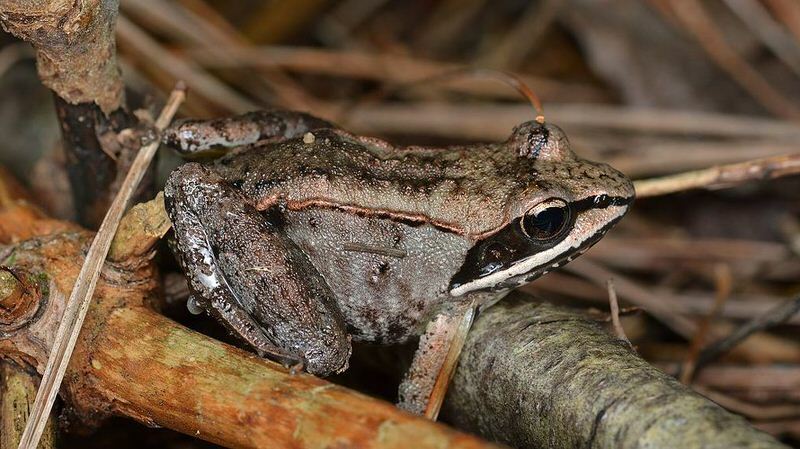 Since these species are difficult to collect, more information is still unrevealed about them. Still, their tiny body and little heart always surprise us! A huge portion of human beings loves dogs as pets and domesticate them. But have you ever thought about the heart of your pet? How big would it be? The surprising fact about dogs is that they maintain a heart to body mass ratio. 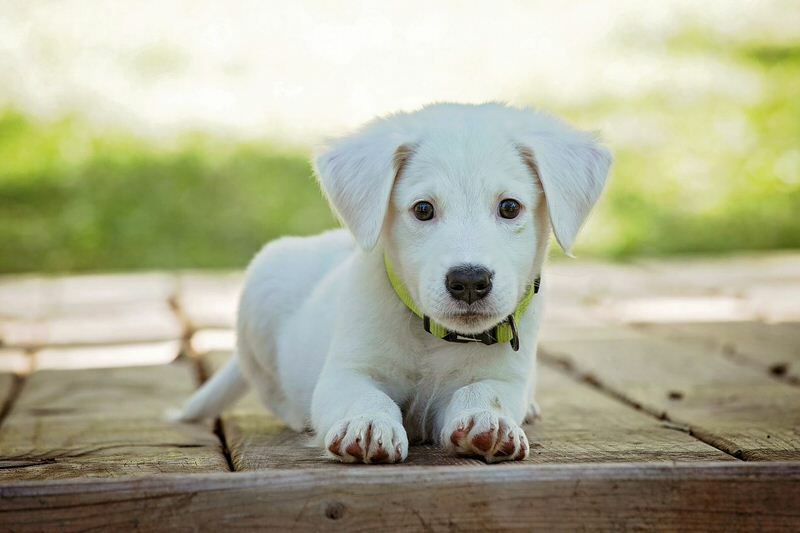 The heart of a dog can be sometimes big as a piano or even too small to be microscopic. Like the human heart, they are not impressive in looks. It has got a brownish color and situated within the thorax. The heart of dogs is an egg-shaped muscle. This workaholic organ pumps about 4000 liters of the dog’s blood. Even when at rest, it beats up to 70-120 times per minute. Daily it beats about 144,000 times. Unlike human beings, this four-chambered heart is free from artery related issues. However, they also suffer from heart failure due to weak valves. The ratio of heart size and their higher rate of beating may sound exaggerating. But it is a fact of your loveable pet. No matter the breed of dog, you can imagine the size of his heart by analyzing the body ratio. These active machines of their life work nonstop in full energy to keep them alive. Thanks to this little master, for keeping our companion energetic always. Cheetah is the unique cat, which is considered to be the fastest animal on earth. They appear in African regions and Iran. The critical feature of the animal is that its heart can beat up to 250 beats in a few seconds. The animal also has rich features such as slender body, spotted coat and small round head. It can reach up to the height of 70 to 90 cm. This speed kings are capable of reaching speeds of 112 km per hour. Their average speed is about 64 km per hour. This speed helps them to catch their prey at a fast speed. 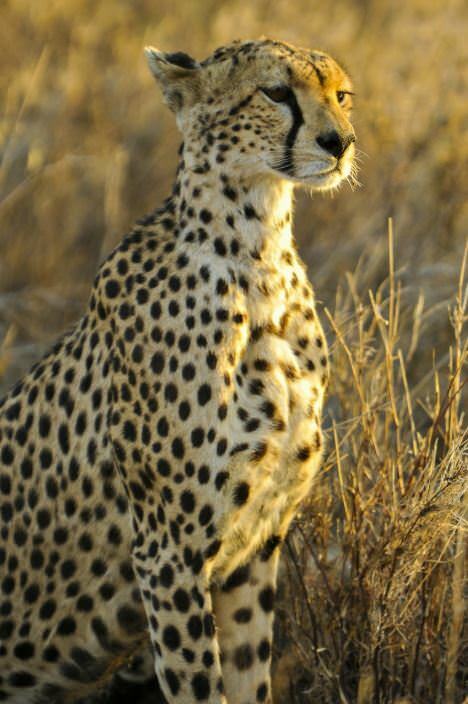 The trademark of speed in the universe, the cheetahs, are capable of covering around sixty miles in three seconds. All this comes true by the powerhouse of their body. Yes, the extraordinary heart of the animal pumps blood to the heart at a higher level. Their long and flexible tail helps in changing directions when they run. When it covers 170 beats per minute, they will get exhausted and needs to cool down and rest. These animals especially the mother cheetah is always fearless and cunning. The male cheetahs are social and spend most of the times in small groups called coalitions. Hummingbirds are the smallest of the bird’s family. They are native to America. These tiny birds measure 7.5 to 13 cm in length and weigh only 2.0 grams. They got this name from the humming sound created. It came from the beating sound of their wings. The interesting fact of humming bird’s heart is that it can soar up to 1000 beats per minute. The birds can flap about fifteen times per second. The human eye will be able to see a blur only. The faster wing speed is offered by, the faster heart. Of these species, blue-throated hummingbird beats up to 21 beats per seconds. The efficiency helps these birds to bring enough oxygen to its muscles. The top speeds of these birds are 15 meters per seconds. Some species can dive at a speed of 22 meters per seconds as well. 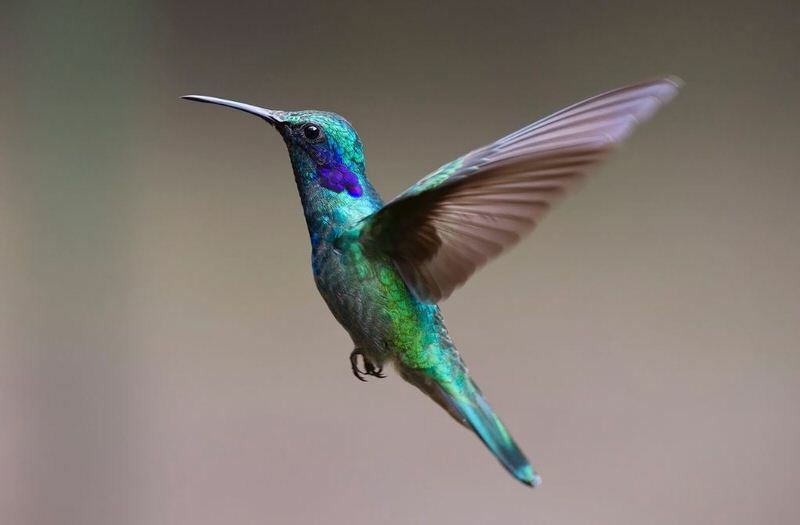 The humming bird’s brain holds 4.2% of the total body weight. The second largest family of birds thus has numerous features about their tiny body. The average life span of these birds is about five years. Their supportive heart also makes it possible for them to fly at higher speeds. During migration, they can travel over 2000 miles twice a year. The giraffe is the tallest living terrestrial animal of the universe. 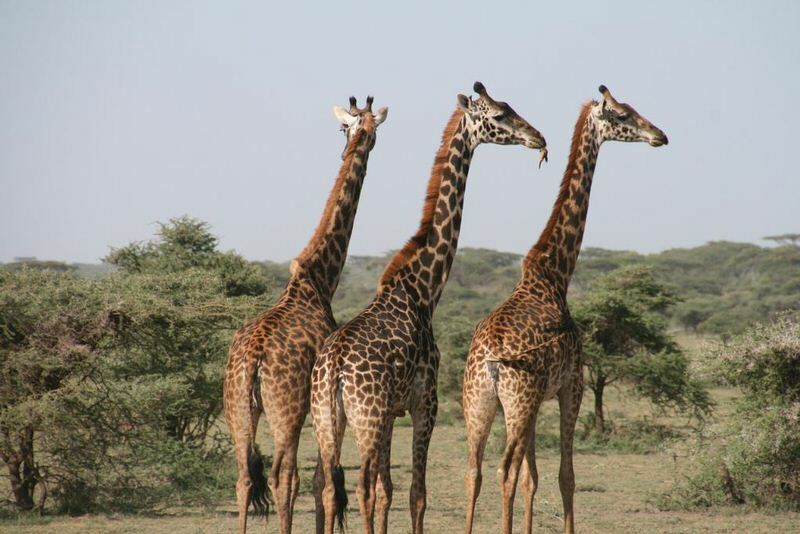 It has got different special characters such as a long neck, long legs, and patterns. They found in South Africans and Somalia regions. The heart of this tallest animal has got some surprising features. The gravity is the biggest enemy of giraffes. The heart-pumping of the animal to the head is always a matter of wide attention. The structure of the giraffe’s heart is well organized to support its entire needs. It is large and weighs higher than other mammals. The walls of its left ventricle are 7cm thick and beat thrice in a second. The most important fact of the heart of giraffe is that it has higher blood pressure, which prevents the animal from fainting down while lifting their head. It also allows the blood to travel through the large body against gravity. The pressure of blood makes it possible for arteries to reach blood to head. The valves prevent the organs from damage, specifically the brain. The skin of the giraffe around legs is thick and tight enough. It helps to keep pressure against the gravity. Interestingly the principle of blood flow in giraffe’s body was the basis for many inventions like pilot suits. Thus the powerful heart of giraffe makes them defeat the gravity and have a healthy life. Here comes the marine mammal with a bluish grey color body. The giant animal with a maximum recorded weight of about 173 tones is also known for its heart facts as well. It is believed to be the largest animal ever known with a huge heart. The heart of the blue whale even resembles the size of a compact car. The arteries of this massive animal are also bigger ones. The big arteries will pump blood to the major organs through the heart. The arteries are so large enough; even human beings can swim through them. The aorta of the heart is about 9 inches. Another surprising fact is that the heartbeat of this animal can be heard from a distance of two miles. Their heart beats 8 to 10 per minute. 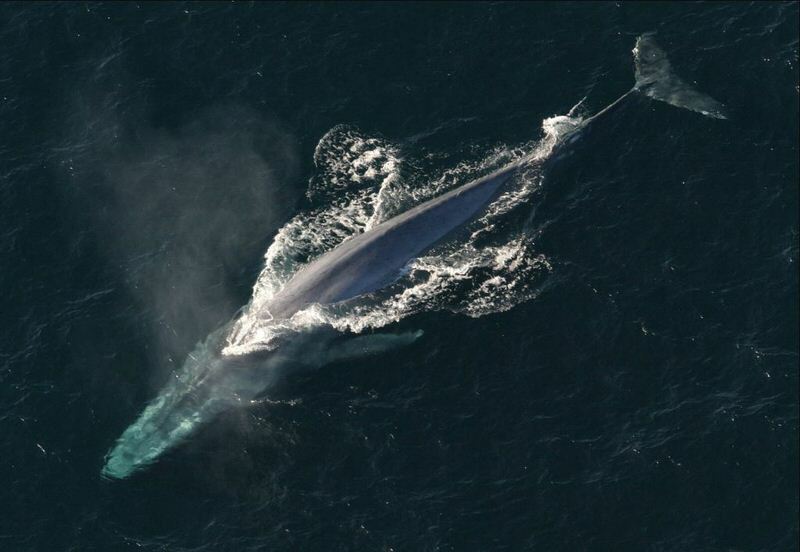 The weight of the blue whale’s heart is more than 1300 lbs. A scientist from the Royal Ontario Museum recovered the chest of a blue whale’s gift to preserve. According to the reports, it was a major task to get the heart out of the body of it. The size of the average blue whale’s heart was 180 kilograms. The heart of the animal is capable of pumping 150 liters of blood per beat. Thus the huge heart of the blue whale, help this giant animal to get the power and also enough blood circulation throughout the body. Have you ever heard of an animal with three hearts? Yes, the octopus in the marine world holds this wonder. They are soft-bodied animals with eight-limbed mollusk attached to the body. Their soft body can change its size. It makes them able to travel through tiny openings. While swimming, they keep their appendages behind them. 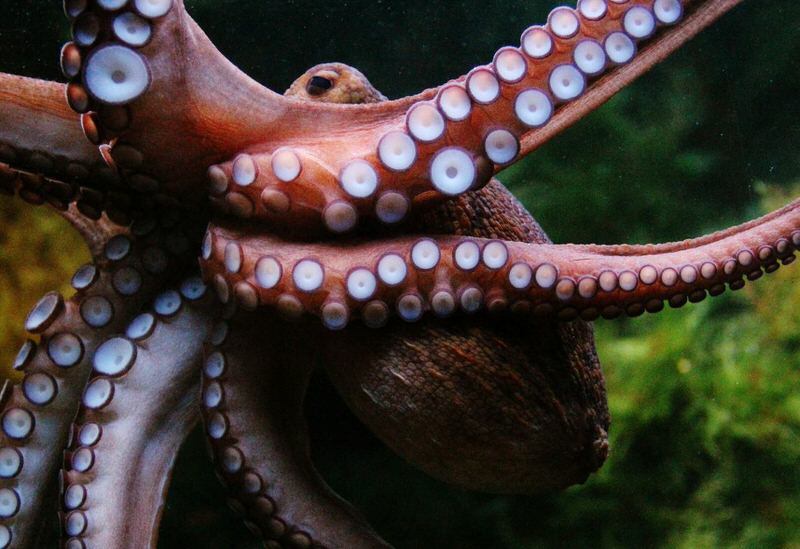 The octopus got a complex nervous system and an excellent sight. Now comes the most attractive parts. Out of the three hearts, two of them dedicated for pumping blood to their gills. The other one takes care of the entire region of the body. The color of octopus’s blood is blue. It is because unlike hemoglobin in human blood they got a copper-rich protein called hemocyanin in blood. This protein helps the oxygen transport duties of blood, and it is also more useful in low oxygen environments of the sea. The octopus spends more time crawling in the underground. It is because while swimming the heart powering body tires more quickly. Thus they prefer the regions of the seabed and coral reefs to crawl. Thus the sea monster of fairy tales, octopuses surprises us in the number of hearts and its various unique features. Wooden frogs are a kind of Arctic creatures. They are always special in the Arctic region because they got the ability to freeze in a colder climate. In the winter season, the wood form freezes. And the surprising fact is that at that time their heart stops beating. Then what happens? No worries, when the temperature rises in the region, they wake up from a frozen state and heart restarts. They feel fresh and new that time. It’s a mystery which lies behind this specific adaptation of wooden frog. The scientists are also much interested in this feature, and they are working hard to unlock the mystery. Some organisms like bears slow down their hearts while hibernating. But the wooden frog is the only animal category as of today, which can stop the heart. The particular kind of solutes in the body of the frog stops the metallic activities during the frozen time. Also, it will allow the liquid in the body to solidify and prevent the organs from getting damaged. It believes that the invention of the cause of this fact will make changes in the human heart transplantation process by making the heart to get frozen and transport the same. Thus the heart of wooden frog restarts and froze in cooler times. Do you like to have a regenerating capacity for the heart? Sounds a pretty good idea? The zebrafish has this capacity. They are native to South Asia. Its regenerative ability has been a critical turning point of many scientists. The zebrafish has half number of chambers compared to the human heart. But in their job they possess a similarity with human beings. The heart of the zebrafish delivers oxygen-rich blood to all vital organs. The oxygen is made from the gills, not from the lungs. The reports say that this sort of fish got the capacity to regenerate the heart tissue. The heart tissues get regenerated within a few months. These vertebrates also have a backbone, brain and spinal code like human beings. Apart from this, they have liver, heart, pancreas, kidneys, and bones as well. They widely studied in medical research labs for these similarities to humans. When the heart of the organism beats irregularly, there is a high chance of getting blood clots in the heart champion. Thousands of medicines now tested on these fishes. This is because of the resemblance with some native groups. Thus the scientific world is striving to find the exact reason beneath this. 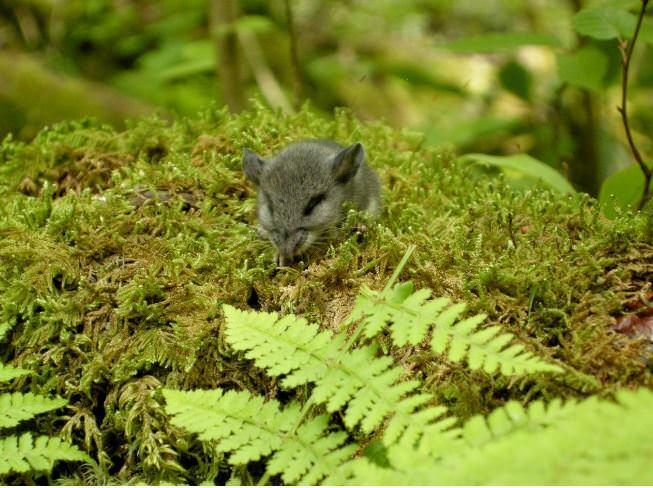 Pygmy shrew is a tiny mammal with fast heart beat rate. It is the second smallest mammals in the world. Generally, if the animal is small, the heartbeat will be fast. They belong to the native of Ireland. They also found in regions of Alaska, Canada, and the US. The heart rate of the pygmy shrew is more than 1000 beats per minute. The target heart rate will always be 220 minus age. The tiny bird is active throughout the day and night. They got an average weight of 4 grams. The metabolic rate is higher meeting up the regular needs of the birds. The heart of the animal is large and constitutes 1.2% of the body mass. The highest metabolic rate of the bird is 1511 beats per second. The birds do not usually hibernate because of their higher metabolic rate. These small birds do not rest for more than two seconds. Also, these short-range, high-speed hunters eat twice their weight. They get starved every two hours. They generally live alone and spend time in their habitat. The birds got a life span of one and a half years only. The tiny heart of their body supports their entire metabolism.